It’s interesting to think about the relative benefits of doing the right things vs. doing things right. For example, doing things right, might included sticking to deadlines, budget etc. Doing the right things includes deciding what projects to undertake, or deciding what to do at the individual level should I run 3 miles or update my blog? I think it’s clear that selecting the right things to do is far more impactful. However, in practise, it’s very easy to rush into the implementation without first thinking about if we are truely working on the right things. Nice post from Seth Godin, demonstrates how exactly the same processes used by businesses to optimize portfolios make sense for individuals too. John Estrella also echoes the topic here. It’s often trivial to reduce complex issues to a single question, but one which can help determine if your portfolio is truely strategic is… Have you ever killed a project that was performing on fully on target in terms of budget, schedule etc? If no, then you’re portfolio may be well managed but not be strategic. If yes, killing such a project might be an example of strategic alignment. 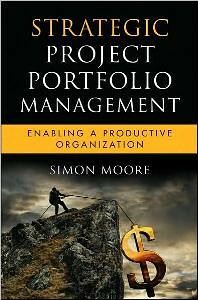 Of course, killing projects introduces inefficiency and cost so with perfect alignment, businesses could have sufficient foresight to never kill a project because all their projects were aligned from in the start and the strategy didn’t change, but in reality most businesses will have to kill performing projects to adjust for strategic changes.